This backup Emergency LED driver is UL listed and can be installed on the field. 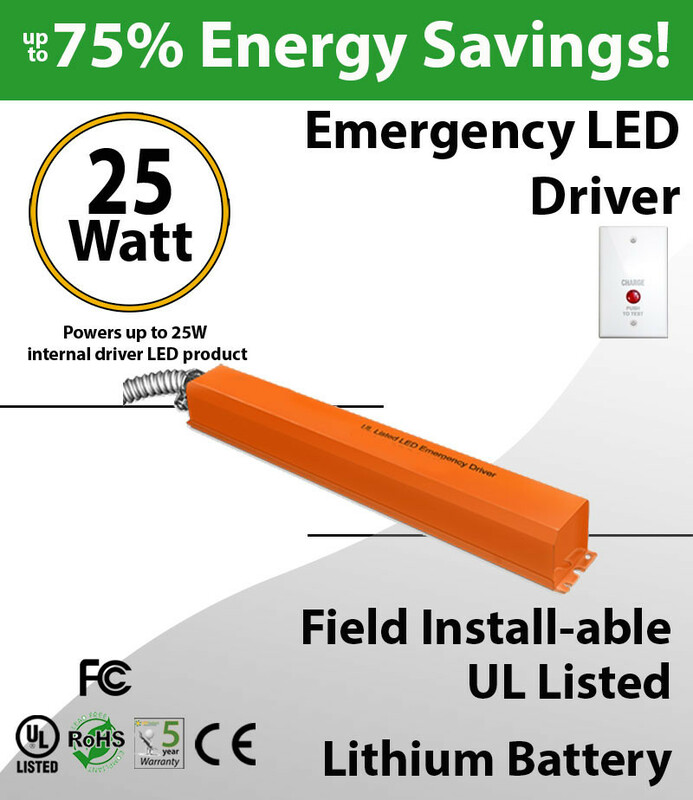 Power any LED fixture or bulb with internal driver for both normal and emergency operation up to 25 Watts. 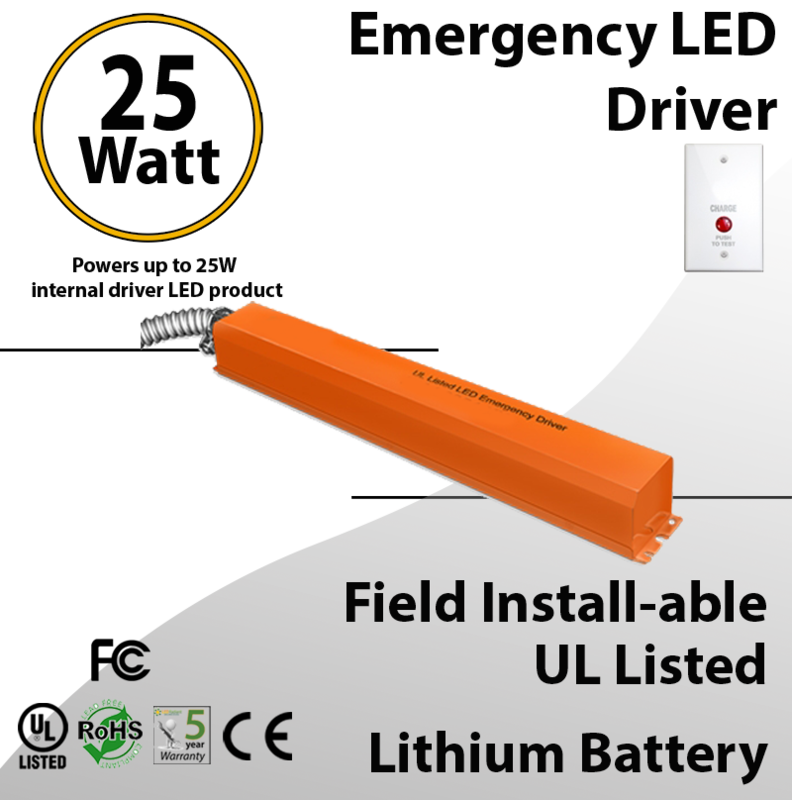 In the event of a power failure, the driver switches to emergency mode and operates the existing bulb/fixture for 90 minutes or more. The unit comprises Lithium battery, charger and inverter circuit. Product Size:1.57" x 2.13" x 17.14"